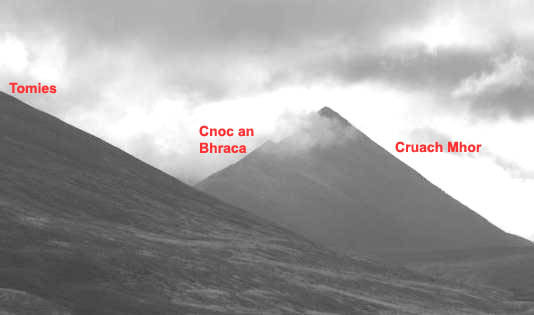 Hi Peter...from the vantage point of Killarney, I think you were looking at Cruach Mhor (932m) with Cnoc an Bhraca (731m) just in front of it. The slope of the mountain in the foreground may have been Tomies. Carrauntoohil and Beenkeragh should have been to the right of this shot but were probably hidden in cloud.